There is a new addition to my make-up bag and it’s not as obvious as you would think. It’s not make-up, a make-up brush or even a make-up tool. It is in fact a nifty bit of skincare that works perfectly as a base over moisturiser and before foundation, effectively a primer. However this isn’t quite a primer, it actually has benefits for the skin and helps to blur out imperfections. 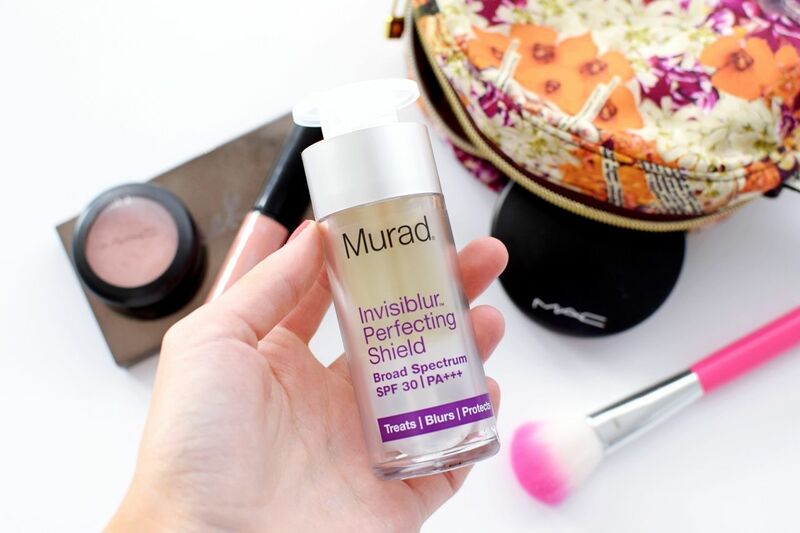 I have seen many make-up primers that offer blurring but none with the supportive benefits that Murad’s Invisiblur has. 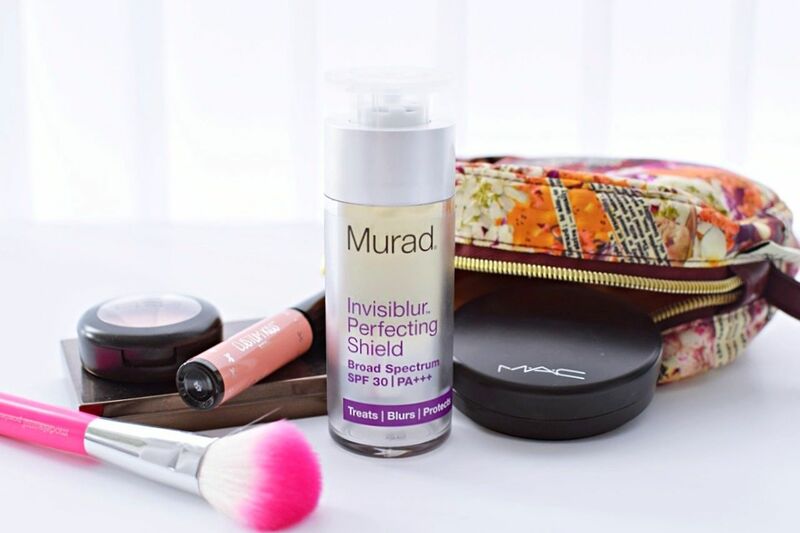 Murad’s Invisiblur Perfecting Shield is a 5 in 1 multi-benefit formula, that goes on completely clear so it is perfect for layering under make-up. Blurring out imperfections and pores, primes ready for make-up, moisturises and protects with SPF 30. I’ve been using it after I apply the Murad Age Reform Day Cream and before my foundation and it has fitted in perfectly with my routine. It has such a lovely feeling, that even on touch it feels so soft and smooth and definitely helps to blur out visible pores. You can also wear it on its own as an invisible SPF or mix it with a little foundation for a more natural look. Ingredients include shitake mushroom and mucor miehei peptides, which stimulate collagen production to help reduce the appearance of fine lines and wrinkles. Just like the new Kiehl’s Daily Concentrate, Murad’s Invisiblur includes sunflower extract, a key ingredient for moisturising the skin, as well as cucumber to enhance the skin’s ability to retain the moisture. It’s also good to know that due to the non-comedogenic formula it won’t clog pores and is suitable for all skin types. This is such a good product if you want that key product that treats, moisturises and protects the skin all in one. I definitely won’t be taking it out my make-up bag anytime soon. Murad Invisiblur is £55.00 and available from murad.co.uk.